NEW PRICE! Open Sun 4/14, 1-3PM. Incredible 2-Car Garage Expanded Townhome with Full Brick Front and Upgraded Interior, with 3 Level Bump Out, in a Fantastic Location walkable to Shopping, Restaurants and Grocery, and minutes to I-95 and VRE. Main Level Features Beautiful Wood Floors, Separate Living and Dining Rooms Leading to Gourmet Kitchen, Breakfast Room, Palladian Windows, and Plenty of Light. Kitchen with Granite, Upgraded Appliances, Double Wall Oven, Gas Cooktop, Breakfast Room, 42 Raised Panel Maple Cabinets and Recessed Lights. Kitchen Leads to Spacious Deck Overlooking Back Yard. Upper Floor Features Owners Suite with Vaulted Ceilings, Lux Master Bath with Soaking Tub, Separate Shower and Dual Vanity, and Walk-in Closet. Upper Floor continues to Two Additional Generously Sized Bedrooms and a Guest Bath.Fully Finished Walkout Lower Level Features Rec Room/Family Room and Powder Room Leading to Patio and Fully Fenced Back Yard. 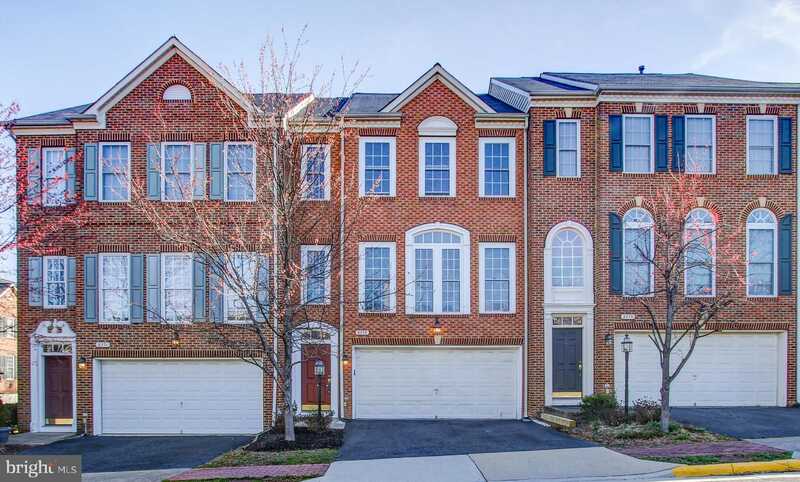 This Home is Located within Walking Distance to Lorton Marketplace Shopping Center with Restaurants, Grocery and More. Also Located Minutes to VRE, I-95 and Convenient DC Access. New Stainless Steel refrigerator ordered and will be installed shortly. Please, send me more information on this property: MLS# VAFX1053090 – $515,000 – 8073 Samuel Wallis Street, Lorton, VA 22079. I would like to schedule a showing appointment for this property: MLS# VAFX1053090 – $515,000 – 8073 Samuel Wallis Street, Lorton, VA 22079.